Keep your home simple, elegant and minimalist with some beautiful white dining room chairs. White is the denim of interior decor - the perfect colour to coordinate with anything! 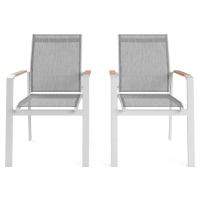 Whether you’re a first home buyer furnishing your new place or your dining set desperately needs a makeover, our white dining chairs will keep things easy yet stylish. 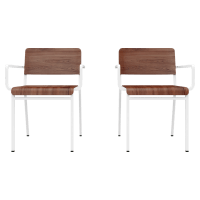 From retro to Industrial, we’ve got a range of exquisite white dining chairs to help you match up with your favourite decor style. Create the look you envisioned today by easily coordinating these chairs with your dining table and other decor. 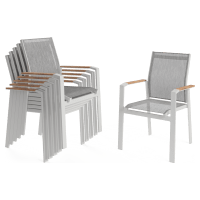 Invest in some quality white dining chairs handcrafted to perfection. We team up with experienced craftsmen who are dedicated to quality. 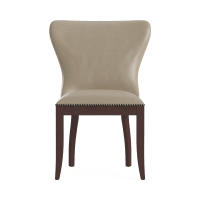 So you know you’ll be investing in the best materials and designs in every piece of dining room furniture. 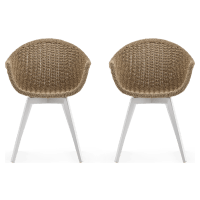 Browse our selection of dining chairs online today and buy the pieces you love for less - all with fast Australia-wide delivery.